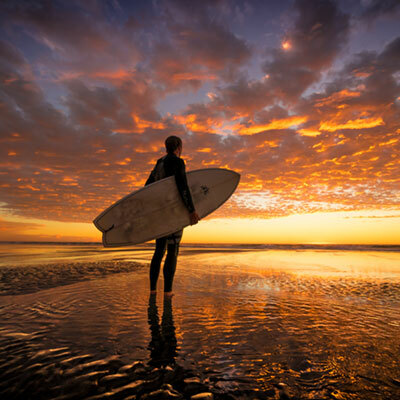 A few months ago, a longtime friend suggested that I start doing Pilates to help with some lingering low back problems I was having as a result of a surfing accident. She and her daughter had participated in Pilates for years and thought it could really be beneficial for me to at least give it a shot. My friend probably sensed my reluctance, but she was so convinced it would help me that she scheduled 10 Pilates sessions with Karen for me as a birthday present. Over the past two months I have been doing weekly Pilates sessions with Karen and have had some tremendously positive health outcomes. Specifically, Karen was able to evaluate areas of muscle weakness that were likely contributing to my low back pain and prescribe Pilates specific exercise for in the Pilates studio and at home that would help to strengthen theses muscles. These exercises were unique in the fact that they allowed me to focus on coordinating muscle contractions across the body and utilizing muscle in my core that had been quiescent for decades. The other thing that I have found unique about Pilates, as an exercise paradigm, is the dynamic nature of the exercise and the fact that exercises progressively get more dynamic as you increase strength and become more comfortable with the Pilates equipment. Lastly, I have found that the dynamic nature of Pilates has really had an impact on my overall flexibility. All of this has resulted in me increasing my balance, coordination, flexibility and strength. I would highly recommend doing Pilates with Karen regardless of your fitness level or injury status. In my opinion everyone can benefit from Pilates. I was a patient of Karen’s on two separate occasions. The first time in 2004, I received rehabilitative therapy on my shoulder after it had been dislocated for 10 days due to a bad fall and subsequent misdiagnosis in the ER. The lengthy dislocation caused residual significant damage and tears to the soft tissue around my shoulder. My doctor was confident I would need surgery, but after 3 months of intense physical therapy with Karen, I had complete movement restored. My doctor said it was “a miracle” that I was able to restore full functioning to that shoulder without surgery, and especially in only 3 months. Needless to say, with a perfect blend of physical therapy, ice application and stretching homework, I was extremely pleased with the final result and incredibly grateful for Karen! The second time I saw Karen was 2017 when I had a total hip replacement due to early onset osteoarthritis. She had a significant amount of work to accomplish after my surgery! Because I waited so long to replace my hip, I had established a bad limp in the year before which effected my other hip and back. The top priority was to heal and restore movement in the operated hip after surgery and secondary was to correct the bad habits I had established in the years before surgery. Using a Pilates approach, Karen was successful in giving me back my “swagger” in only 3 months and in doing so, I will be able to postpone surgery in my other hip (also arthritic) indefinitely. Additionally, Karen was able to monitor the progress of my healing incision and let me know when there was reason for concern which was a huge benefit. She offers the perfect combination of compassion, communication and expert knowledge and application in her field. She is a “gifted” practitioner, able to see what others often can’t and because of that, able to provide the utmost care. Thank you, Karen, I am forever grateful for the restorative treatment and positive future outlook you provided!!! I have worked with Karen over the past several years and know first-hand just how effective her services are. 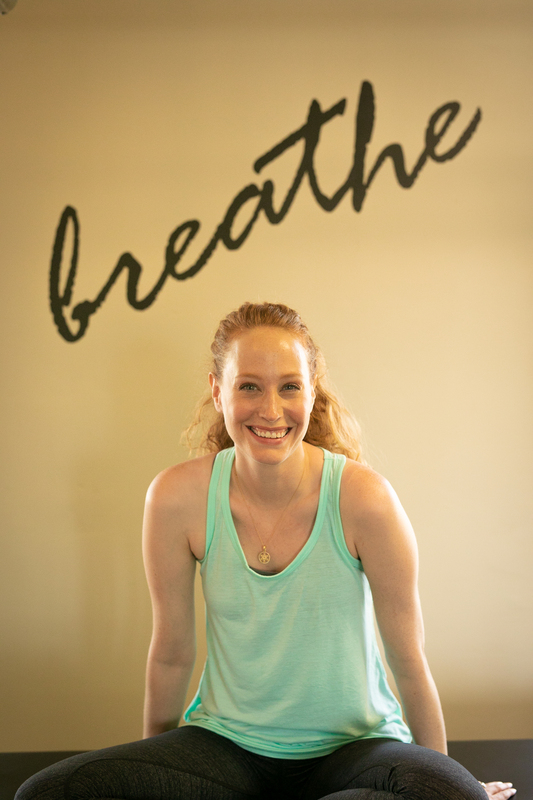 Karen is a Doctor of Physical Therapy who practices Pilates-Based Physical Therapy in a non-traditional setting providing one-on-one treatments that are progressive. 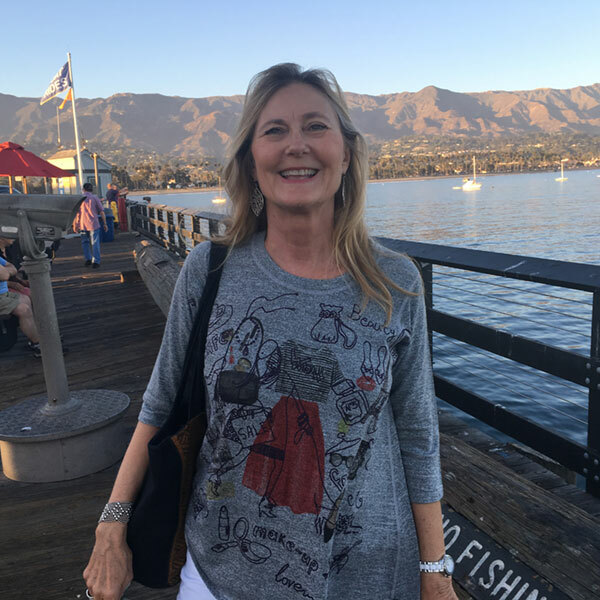 Her treatment sessions are held within a post-rehab Pilates studio in Encinitas where she integrates the whole body into your physical therapy, not just your injured body part. You will receive her FULL attention for an hour (no physical therapy aides or assistants or left alone to do exercises). Karen is a results-driven PT– give her your goals and she will help make them happen. After reaching your goals, Karen can further progress you with Pilates private sessions or rehab classes. I find great value in taking Pilates from a PT who already knows your body and its needs. I have had chronic back and hip pain for many years due to injuries and overuse. I’ve been to numerous doctors and therapists and tried all types of treatments. Karen finally helped me find relief! She is a seasoned professional and I highly recommend you make an appointment now! I cannot say enough wonderful things about Karen’s ability to treat and how much she has helped me. I had been going to a large, well known physical therapy organization with little improvement and was only spending about 10 minutes with the Physical Therapist. I was then handed off to the intern or assistant. Feeling discouraged, I thought I was going to have to live with the pain. Thankfully I discovered Karen, who found the root of my problem and I immediately started making progress! Karen takes steps like no other Physical Therapist. One of the things that I appreciate the most is that Karen works directly with my Physician to resolve the problem. I feel assured I am getting the best possible care. Karen is thorough in her evaluation, explains the body mechanics in a way that is easily understood and spends the entire hour with me—not passed off to an assistant. Karen is motivating and inspiring and I am encouraged to continue my home exercises with success. Thank you Karen! Karen has a tenderness and compassion that melted my self consciousness and personal judgement about my physical limitations and immediately found the core underlying issues to my lack of stability and asymmetry in my body that no other professional trainer, coach, physical therapist or rolfer ever found. Today at 41, I have a straighter back and better running form than I’ve ever had in my life thanks to Karen’s incredible work! I am confident now that I can have an amazing body in my 40’s and beyond. I saw Karen for low back and hip pain, symptoms for which I was previously treated by a ‘traditional’ Physical Therapist. She was able to alleviate my pain, develop strength and put together a plan to prevent the problem from re-occurring. There’s no comparison between ‘traditional’ Physical Therapy and Physical Therapy with Karen– An entire one-on-one session with her is comparable to several regular Physical Therapy visits. No more bored aides idly watching by, not caring if your form is correct or the exercises are effective to correct your issues. Or therapists in a rush because they have to see many patients each hour. She takes the time to figure out why there is a problem and works towards function correction vs. temporarily addressing symptoms. Karen has a far more effective approach to rehab and it pays off in the long run by creating a framework for permanent solutions. She is incredibly responsive and compassionate, and gets you back to where you need to be quickly and effectively. I am a big fan of physical therapy, and in particular, of Karen Turner-Schlegel. She treated me after arm surgery I had 17 years ago and again a year later for the other arm. She had a great deal to do with my full recovery. Since then, I have referred patients to her for recovery of various injuries and surgeries. As a referring physician, I have always found Karen’s work to be excellent and adaptable to each individual patient. She updates me on the patient’s condition and adjusts therapy to match the patient’s needs and progress. Karen truly understands the integration of the whole body in treating the primary injury. I highly recommend Karen Turner-Schlegel as a Physical Therapist. I want to thank you for your help in meeting my goals! I had planned an important ski trip to Europe with my son over his spring college break this year. I was only 5 months out of hip replacement surgery and was concerned that I wouldn’t be strong enough to ski. You created an amazing set of exercises that I was able to take with me on the trip and still use to this day. If anyone asks, I would say that Karen is amazing and unique. Her approach is far different and more effective than your regular physical therapy. After my surgery, I began physical therapy with my Doctor’s recommended group. There, the physical therapist spent about 25 minutes with me doing stretches, massage and checking range of motion. Then, I would exercise and finish with ice or heat. With Karen, you will spend an hour with her. She looks as the entire body as a whole. She develops an exercise plan that strengthens specific muscles and increases range of motion. I would highly recommend Karen if you are looking for a physical therapist that has an amazing knowledge of the body. Thank you Karen! Karen is a phenomenal therapist! I had chronic back pain for over 20 years. Karen was able to heal me by listening closely as I described what I had been experiencing for 20+ years, by seeing how my body was aligned and how I used my body on a functional level and by feeling my body to sense where the misalignments were and to slowly and gently realign my body. I was able to walk 5 miles without foot or low back pain!